normally wouldn’t have been an issue of any kind except that I already had been daydreaming of taking photos in front of the famous Ferris wheel. I’m an upstanding citizen, I follow the rules, I don’t speed (too much), and I generally don’t like making people mad but something in me just needed to make these photos happen. Yes, it meant very gently bending the rules, but c’mon, it’s a Ferris wheel, people! We slowly left our designated space and make our way to the location I couldn’t get out of my mind. We made our way to the grassy field that sits in front of the Ferris wheel and with the biggest smile on my face I began to shoot. The sun was streaming down behind them and onto us and for a moment I might have heard angels singing. Unfortunately, it took all but 60 seconds for someone to spot us and head over to us to ask us to move. I pretended not to hear them (A move that I’ve picked up from my kids!) and it bought us an additional 30 seconds of shooting time. With that huge smile still on my face, I apologized and we left. I still got to capture some more sunset photos as we headed back to the reception but for a few short minutes near the Ferris wheel I pushed the rules to give my clients something that I knew they would love and I’d do it all over again! true, this dynamic duo isn’t just gorgeous, they are also two completely kind and wonderfully warm people too. The countdown is on for their August nuptials, I can’t wait to see these two become Mr. & Mrs. and I’m also pretty thrilled to see what kind of loveliness the talented Mae Flowers creates. The bouquet that she crafted for Brittany and Andy’s e-sesh made my flower loving heart skip a beat. she felt the same. As the months rolled by my excitement only grew as Higuera Ranch has turned into one of my go to spots for shoots. 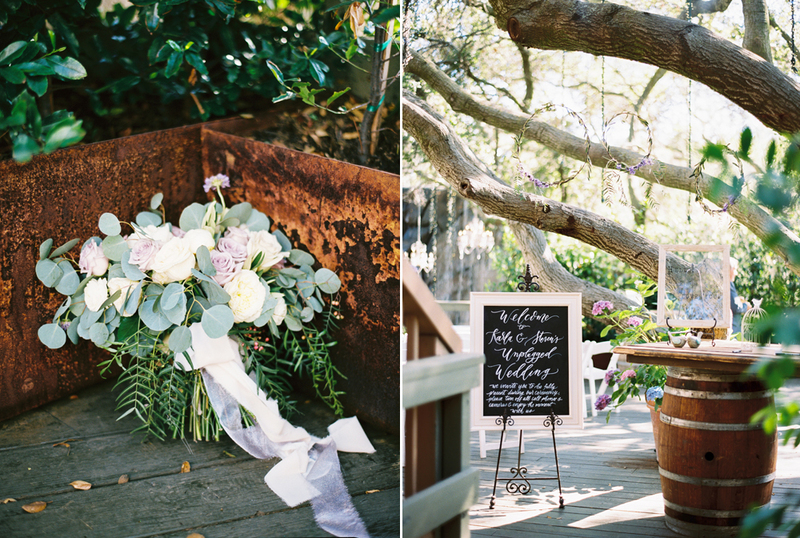 The venue boasts golden hills, open fields, a rustic barn, beautiful trees, a sweet little vineyard that’s just perfect for photos, and even tons of space for everyone to stay the whole weekend. The wedding day rolled around and I was working at a venue that I adored, with a couple that I had fallen in love with and with vendors that feel more like family (lots of love to my girls at Danae Grace Events and Precious and Blooming!) I couldn’t have asked for anything more. The second that I pulled into the lavender lined driveway of the San Ysidro Ranch, I knew I was somewhere special. This luxury resort can host anything from an intimate affair to the most over the top nuptials but on this day, a lovely lavender inspired celebration was created by Joy Proctor and it was nothing short of breathtaking.